Recycled office furniture is a great investment for business owners in Tampa and other nearby areas of Florida, who are in need of beautiful and functional furnishings that won’t break the bank. Instead of spending so much money on items brand new, you can furnish your office with premium pieces that don’t come with hefty price tags. For top-of-the-line recycled office furniture for your workspace in the Tampa, FL, area, turn to the experts at Reusable Office Interiors. We offer a wide variety of furnishings, including desks, cubicles, conference tables, file cabinets, lounge furniture, and so much more. 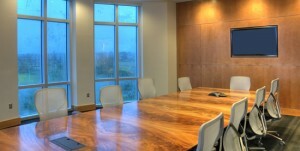 We also offer items from top-notch manufacturers, like Haworth, Steelcase, Teknion, Herman Miller, and others. Additionally, we can recycle any unwanted and eligible items you have in your office, which can result in a tax credit for your business. As a company that makes every attempt to be as environmentally friendly as possible, we want to do our part to minimize the amount of waste that ends up in landfills. For more information about the recycled office furniture we have available to business owners in the Tampa, FL, area, contact Reusable Office Furniture today. One of our knowledgeable specialists is available to answer any questions you have and can tell you in detail about the excellent products and services we offer.